Our range of products include modular pitless weighbridge, pitless type trailer weighbridges, pitless weighbridge and pitless concrete weighbridge. 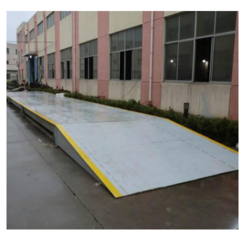 We are the leading Manufacturer and Suppliers of Modular Pitless Weighbridge in India. Being the leading entity in our domain we are able to cater the optimum quality of Pitless Type Trailer Weighbridge to industrial purposes where space is not a major constant. 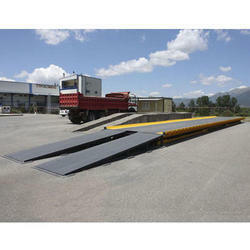 Pitless Type Trailer Weighbridge also offer very good services in water logging areas. 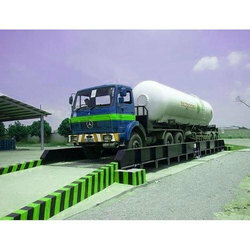 We are offering Pitless Weighbridge to our clients. Application Cement industries, Crusher, Mines, Etc. We are offering Pitless Concrete Weighbridge to our clients. 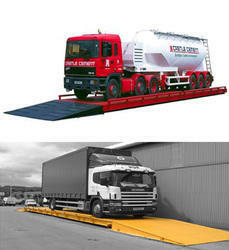 Looking for Pitless Weighbridge ?